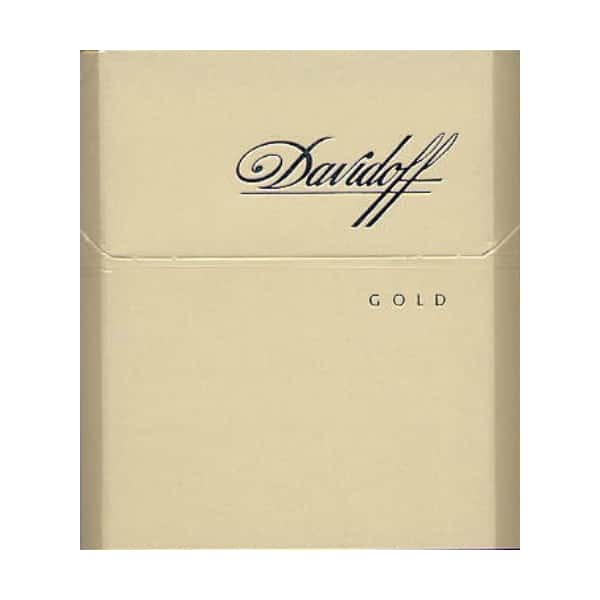 Davidoff Gold – Unique moments of smooth taste and aroma. A gift for your senses. Founded in Geneva 1926. Made in Germany under license of Davidoff, Geneva. Would love to say thank you I have receive my order! was perfect… I look forward buy from you again! I was always a Marlboro Lights smoker until I found these. Great light smoke but WITH actual flavor. Its not like other lights that your just sucking in air and chemicals. No chemically taste, just pure light smoking pleasure. Extra long and classy too! Also, great service, got to CT in 7 days. Will order again. I received a carton of Davidoff Lights about 9 days ago from ciggiesworld. Prompt service, made it to New York after 8 days from order. Prompt and discrete service, made it through customs no issue. A very good cigarette, and fairly light (I am a lights/ ultra-lights smoker) and enjoyable. Only issue is there is a strong smell coming from the cigarettes when opening the pack (maybe been sitting around a while? Or old? They don’t taste stale) which required me to let them sit in my humidor for a few days to air out – outside of the pack. After that, very good. I would give 5 stars otherwise. Again, prompt service, and cheaper than N.Y. state minimum prices at ~$10 a pack for smokes (and about ~$12.50-15.00 in Manhattan). No FSC and you don’t taste any chemicals. Good company, most likely will order again. quality light smoke, thanks to ciggies world for a good and reliable service. Probably one of the best tasting lights. It burns at a medium pace, which I like, and doesn’t have a chemical taste. You do yearn for a bit more kick after a while, but an all round good smoke. These are Dunhill’s Fine Cut Lights. Great cigarette, and better, in my opinion, than their International variety. Have purchased a variety of cigarettes from CiggieWorld and have found each one had its own distinctive qualities. One of the nicer cigarettes to look at! Not a heavy smoke, good burn time. Not Tonnes of flavour though but what I have picked up was slightly sweet. Pretty good light smoke. Not perfect, but no FSC is a big positive. Great sweet tobacco taste, no chemical taste. These cigarettes in my opinion are a good benchmark for light cigarettes. They ooze class and refinement with their subtle taste and smell. They burn slowly and well. The only negatives i can think of is they taste a bit harsh near the end of the smoke, don’t know why and also they don’t taste as natural as say, the Gauloises Lights. In the UK these are called “Gold” and are completely white colored cigarettes apart from a double gold band and Davidoff etching near to the filter. These have slightly higher Tar and Carbon Monoxide content than some lights and yet even compared to other brands of similar levels, these remain a much more smooth and thoroughly enjoyable smoke. Thanks for quick delivery and quality product. Great site! Delivered ahead of schedule. Will definitely order from again! Excellent products especially Davidoff Classic and Gold, great taste. Took 26 days to get to Toronto(non trackable shipping). Faster than I had expected and no extra duties or taxes which is great! Very iffy about the payment method at first but it’s safe and fast. Setting on 28 days now for the next order, hopefully here soon.